The hype over Prime Minister Narendra Modi’s China visit next month is likely to obscure the underlying strategic dissonance and tensions between the world’s two most populous countries on issues extending from land and water to geopolitical aims. Two issues stand out: An increasingly asymmetrical trade relationship and a gradually rising pattern of Chinese border incursions in several regions since 2006, when China for the first time claimed Arunachal Pradesh as ‘South Tibet’. India-China commerce constitutes one of the world’s most lopsided trade relationships: China’s exports are 3½ times greater in value than its imports, and it buys mainly primary commodities from India but exports value-added goods to it. For example, China’s steel producers find India an easy dumping prey, with Chinese dumping of steel items rising almost fourfold under Modi’s watch in 2014. New Delhi, by tamely allowing China to rake in growing profits through such trade, in effect funds the Chinese strategy to encircle India. Despite rising border provocations, Indian policymakers have still to get their act together. To Modi’s credit, he has stressed that border peace and tranquillity is a prerequisite to the continued growth of India-China relations. But with his government, like his predecessor’s, preoccupied with fire-fighting on several fronts, policymakers are missing the significance of what China is up to. There is a clear pattern, backed by an identifiable strategy, to the Chinese incursions. With the aid of progressively increasing or recurrent incursions in each coveted area, the strategy aims to create a dispute where no dispute has existed so that China can subsequently demand that it be settled ‘peacefully’ on give-and-take terms. This pattern and strategy are apparent, for example, from repeated Chinese intrusions in Ladakh’s two strategic regions — Depsang and Chumar — where the geography favours Indian forces, lending a distinct military advantage. Neither Chumar nor Depsang was in dispute earlier. Yet Chinese President Xi Jinping’s India arrival last September coincided with a Chinese intrusion into Chumar — one of the biggest incursions ever, representing Xi’s birthday gift for Modi, who turned 64 on that day. And Premier Li Keqiang’s 2013 visit followed a Chinese encroachment into Depsang, with the intruding troops setting up camp in an area that extended beyond the ‘line of actual control’ (LAC) that China itself unilaterally drew when it defeated India in the 1962 Chinese-initiated war. The tense, intrusion-triggered military standoffs notwithstanding, incursions remain business as usual for China. For example, on the eve of the recent border talks, and then soon thereafter, intruding Chinese forces had face-offs with Indian troops in two separate areas of the Depsang plateau. In both the cases on March 20 and March 28, the Chinese attempt to reach India’s Old Patrol Point base was foiled. In response to an incursion, Indian forces hold a banner drill to get the intruding troops out — a task that might also necessitate one or more flag meetings. But no sooner has one face-off ended than another incursion occurs. After all, Chinese border ‘transgressions’, as government figures reveal, now exceed more than one per day. One novel method the People’s Liberation Army (PLA) has employed is to bring ethnic Han pastoralists to the valleys along the LAC and give them cover to range across it, thus driving Indian herdsmen from their traditional pasturelands. In the absence of a strategy to thwart such PLA-assisted ‘civilian’ encroachments (one of which occurred during Xi’s visit), India has been incrementally losing land, especially in Arunachal and Ladakh. Why blame China for employing means — fair or foul — to alter the LAC bit by bit when Indians remain confused as ever on how to respond? To thwart encroachment by regular PLA troops, India’s first line of defence remains a thinly stretched police force. The home ministry-administered Indo-Tibetan Border Police is no match for the PLA guile and capability. Beefing up its strength alone won’t suffice; it must be placed under the army’s operational command. The focus on high-level visits and the border talks proceeding for 34 years — a world record — distracts attention from India’s strategic imperatives while emboldening China to furtively nibble at Indian territories. The Modi government’s recently concluded maiden border talks with China dashed hopes of these negotiations being reoriented to produce results. The two countries in September recommitted to ‘an early settlement of the boundary question’, with Modi urging Xi to “resume the stalled process of clarifying the LAC” — a process derailed by China’s breaking of a 2001 promise to exchange maps with India. The recent discussions, however, represented no earnest effort to restructure the talks, under way since 1981. India’s choice is not between persisting with a weak-kneed policy and risking a war. 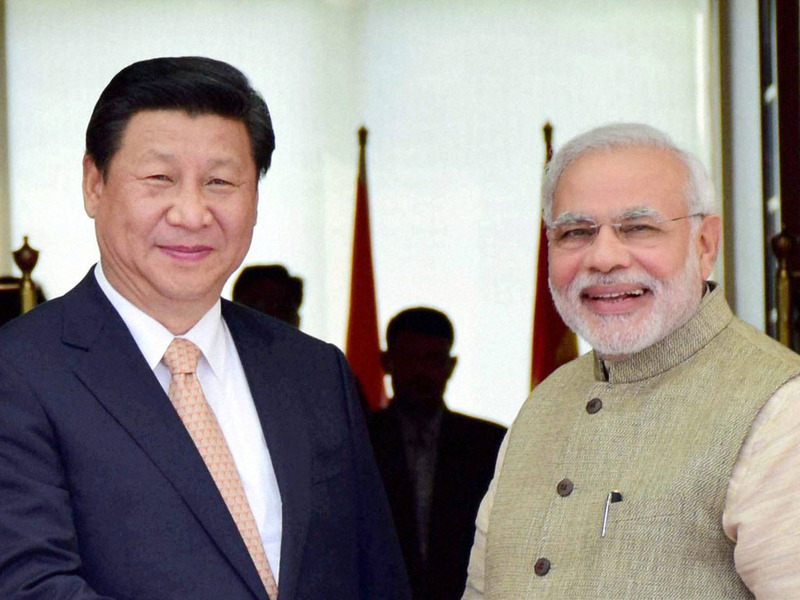 India has a hundred different options between these extremities, as China’s own actions attest. Yet national security adviser Ajit Doval said after the latest round that holding border negotiations was itself valuable, even if the talks yielded no progress, because their absence would mean “conflict is the only means of resolution”. Such logic that the sole choice for India is between staying stuck in futile talks and entering into conflict only encourages a revanchist China to take India round and round the mulberry bush. India must stop seeing options only at the extreme ends and build a credible counter-strategy. China indeed is trying to limit India’s options by leveraging its economic clout, including as a major supplier of power and telecom equipment and active pharmaceutical ingredients and as a lender to financially troubled Indian firms. China is already India’s largest source of imports. With creative gradualism his forte, Modi must evolve a China policy that errs on the side of caution, not meekness. Caution averts problems but timidity, as the past decade has shown, invites more problems. Prudence demands denying China the leeway to continue distorting commerce and boosting its trade surplus year after year, even as it keeps India under mounting strategic pressure without incurring political costs. (c) The Hindustan Times, 2015.